Well.....that explains it. Did you end up with it? Yes. I only spent an arm for it too but the gentleman through in a pair of early 50's Tootsie Toy 1/43 MACK L model tractors with a tanker trailer and a flatbed for gratis. I know the one you want. I have only one with the power unit. I'll ask around at the next L.I. Antique Power Equipment meeting, there's a few collectors there who have parts. Smith-Miller made them in Red, Green, Blue, Yellow and a Goldish color. 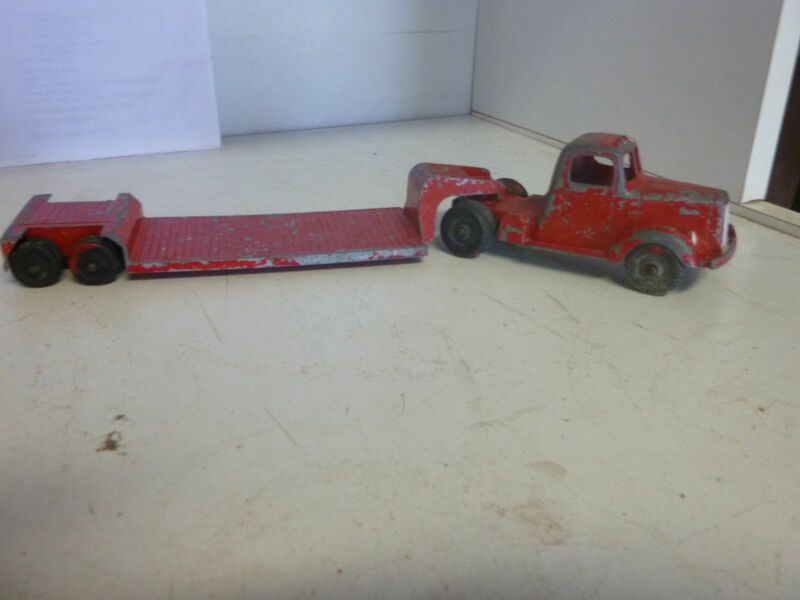 please give me a call and I'll pass along a friend's number that has a number of these toy Macks for sale. 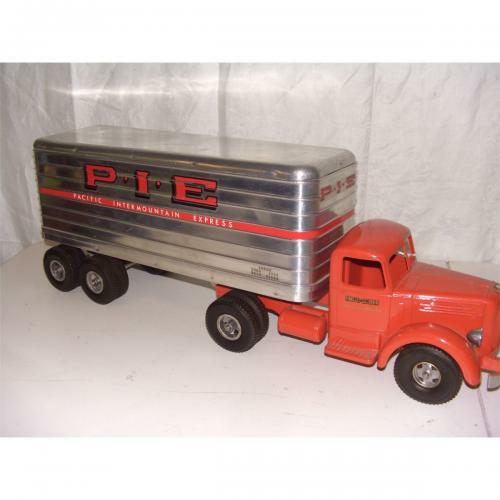 lots of smith-miller on ebay.every one from teephone trucks to army trucks to truck and pup fire trucks and some thompson reproductions.